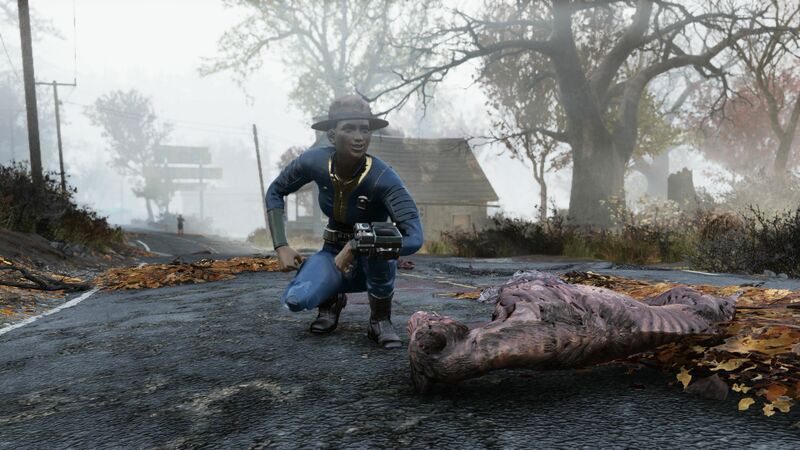 Over the course of my six or so hours with it so far, Fallout 76 has revealed its certainly a game that’s more fun for what you see and come across than for how you act and what you do. 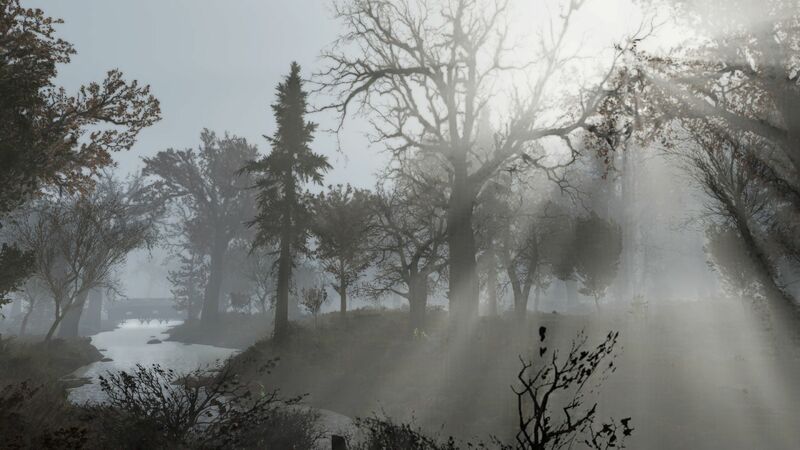 It’s lucky that the world itself, a bruised edition of West Virginia, is beautiful, putting Bethesda’s previous post-apocalyptic sets to shame in both its overall topography and in the details of colour and shape in everything from its trees and leaves to its burned out cars and anonymous cadavers. Certainly, posing next to a freshly slain mongrel has never given me as much cause for a smile. 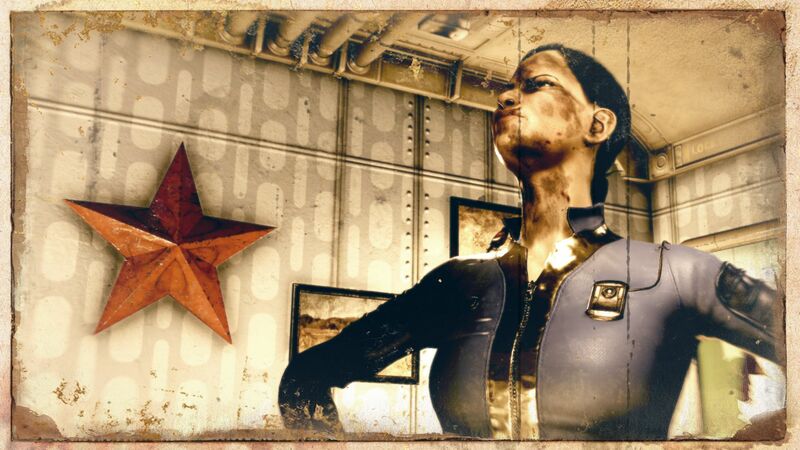 Whilst missions are thrown at you thick and fast as soon as you leave the birthing pit that is the titular Vault 76, the interactions asked of you are either predictable or boorish and often both. Find this body, listen to that recording, talk to the robot over there, check out the computer on the table. 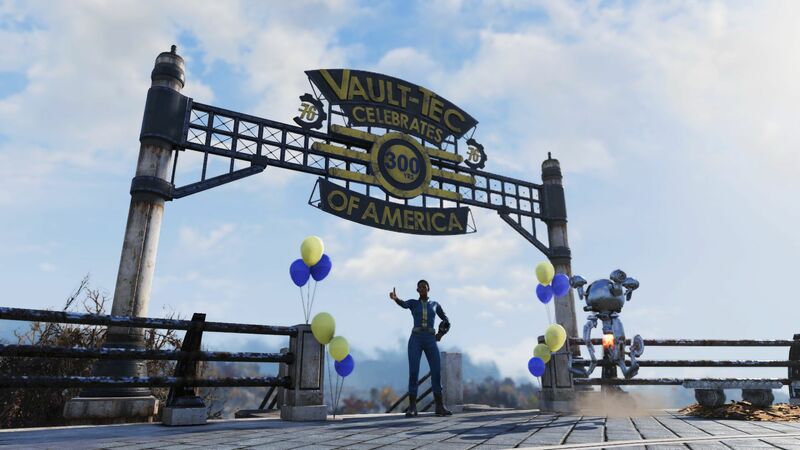 Such objectives are par for the course for a game that sets out to provide meaning and intrigue through meeting, greeting and questing with other real players, though, and so perhaps it’s unfair to go nuclear on Fallout 76 for its structure this early on in my journey. The idea is that’s what happens in your group that matters; the mission goals are merely a means to bring you together with other players, and force both tension and comradeship through the promise of shared future rewards. The problem is that, over the opening hours and character levels, no one wanted to play with me. 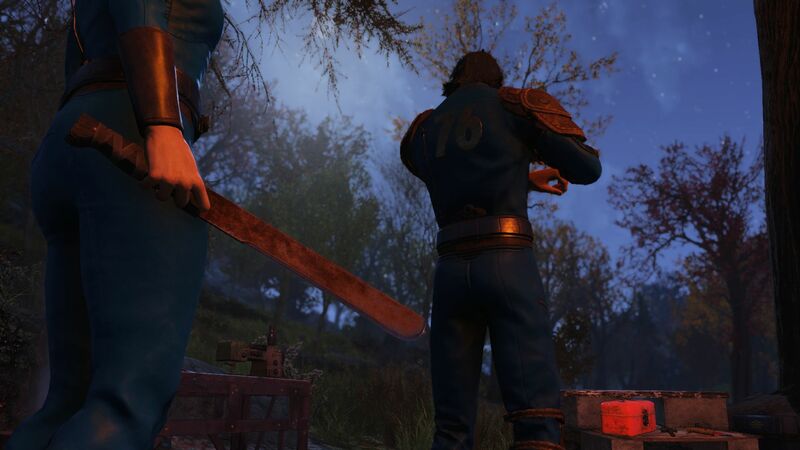 My fellow Vault 76 alumni, whenever I came across them, were seemingly more interested in learning how to boil water and manage their inventories than they were in striking up a partnership with my lovingly conceived Milly. Clearly, their priorities have become skewed due to the radiation. Thanks, then, to Vault-Tec for providing each of its graduates an in-game camera! It has allowed Milly to photograph herself and her environment in an attempt to try and find deeper meaning to her early exploration efforts in the face of rejection from her peers. From Jimmy Stewart in Rear Window to Robin Williams in One Hour Photo, let me introduce you to Milly, the latest loner with an interest in photography. The camera has revealed itself as the best way of appreciating the West Virginian landscape and has acted as my primary inspiration for moving from one place to the next. 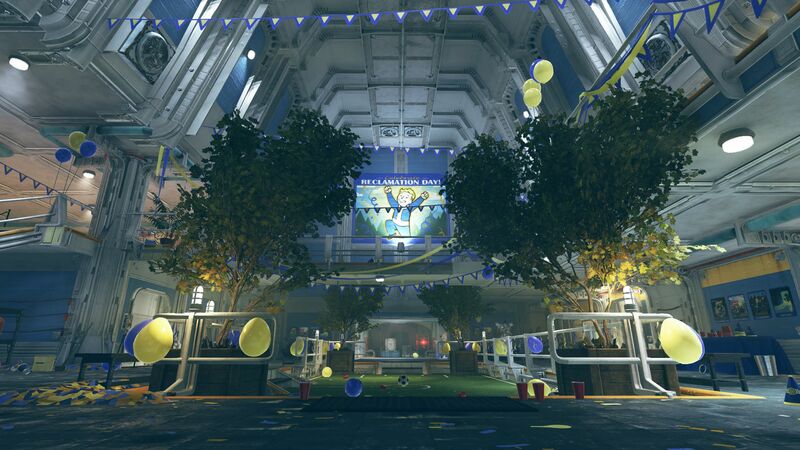 Before even leaving the Vault the camera was out and capturing the moment of release, the explosive party-for-one atmosphere of Reclamation Day being too much to turn down. The camera also acts as the main reason to study the quality of the environmental design in more detail than usual. 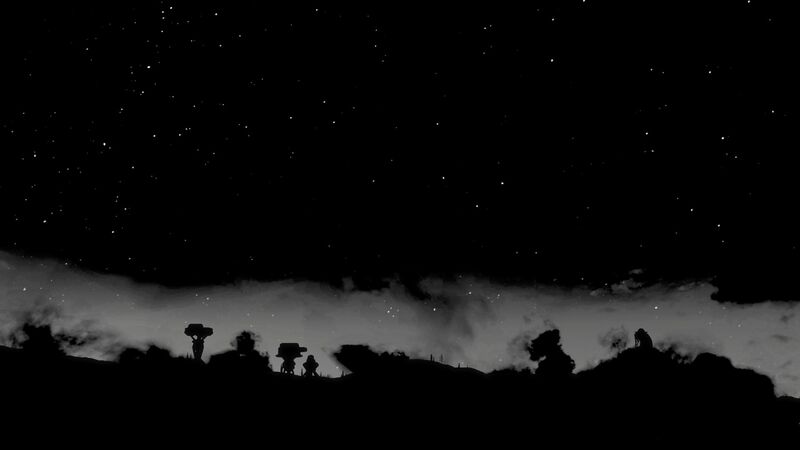 While she’s wandering around the wasteland, Milly’s forever checking lighting and seeking that perfect subject for her art: that which she’s not come across before (which is almost everything given her hitherto life as a shut in). There’s typically a payoff for letting your curiosity get the better of you. I never know what photo might be hiding around the next corner or over the next hill, with my trust in the diversity of the world encouraging me to move ever deeper through it. In fact, the camera has recently opened up a one-way channel of communication between Milly and West Virginia’s other wanderers. Unbeknown to them, while they’re pre-occupied with a predictable task like working and standing still at a crafting bench, she’s taken to using them as unpaid models in little scenes shot through her pre-positioned camera. Here, for instance, is a teaser poster for a slasher film. That guy wants a new machete? Look no further. Heeeeeeeere’s Milly! Here’s hope that when I provide my full review, Milly will have some less voyeuristic experiences to share with you that all players were aware of. Tagged with Bethesda, Bethesda Game Studios, Bethesda Softworks, feature, Post-Apocalypse Day, Fallout 76.